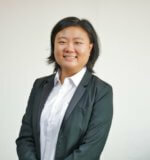 Tracy is a legal associate at Heng, Leong & Srinivasan LLC. Her practice areas are mainly in community law such as family law, criminal law, property law and general litigation. Since she was admitted to the Singapore Bar as an advocate and solicitor in 2015, Tracy has represented clients from all walks of life on a wide variety of legal matters. With these experiences, she is well-equipped to deliver advice with depth and confidence which is tailored to each and every case distinct. Tracy takes pride in her friendly neighbourhood qualities and ensures that her clients understand their legal rights before providing them with down-to-earth solutions. Tracy is also an appointed Legal Aid solicitor.